Located in Brentwood, approximately 25 minutes northwest of Downtown LA, the Getty Center is a $1.3 billion complex situated at the top of a hill and is renowned for its architecture and gardens. Accessed by a cable operated hovertrain funicular, the center offers fantastic views of Los Angeles. Opening in 1997, the Getty Center is one of two branches of the famous J. Paul Getty Museum, with the other located in the Getty Villa in Pacific Palisades. 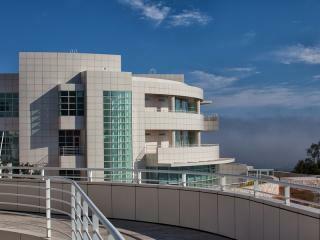 Attracting approximately 1.3 million visitors each year, the Getty Center was architecturally designed by Richard Meier and is also home to the Getty Research Institute (GRI), the J. Paul Getty Trust, the Getty Foundation and the Getty Conservation Institute. 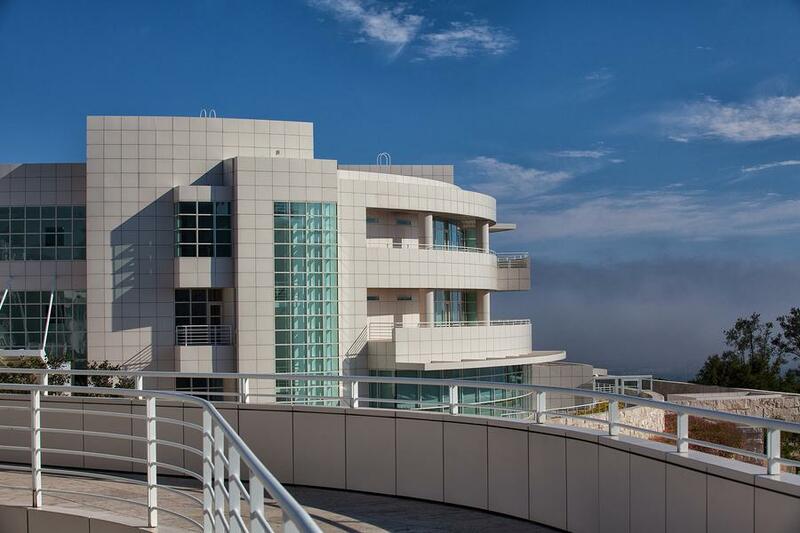 The Getty Museum is a popular attraction and is home to an amazing range of pre-20th-century drawings, paintings, sculptures, illuminated manuscripts and decorative arts from Europe as well as 19th- and 20th-century European, Asian and American photography. Among the artwork on display is the painting 'Irises' by the famous Vincent Van Gogh. The Museum also displays a collection of outdoor sculptures showcased on terraces and in the expansive Central Garden. The Central Garden measures 134,000-square-foot (12,400 m2) and was designed by artist Robert Irwin in 1992 and completed in 1997. Designed to be a work of art in itself, the garden features the element of water heavily in its design including a beautiful fountain that flows toward the garden before appearing to fall into a grotto on the northern wall of the garden. The stream then flows down to the azalea pool, using boulders and rocks in the stream bed to create various sounds from the flowing water. There is also a picturesque stream surrounded by trees with a walkway that crosses over the water continuing through the plaza to a stone waterfall cascading into a round pool filled with floating azaleas and surrounded by specialty gardens. The Central Garden is home to over 500 varieties of plants and is constantly changing.